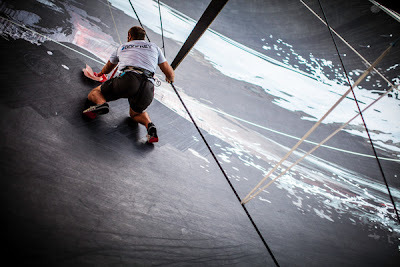 The North Atlantic is a playing field that Franck Cammas/FRA and Groupama sailing team know well and today they played Tropical Storm Alberto to perfection, extending their lead by gybing at the critical time. 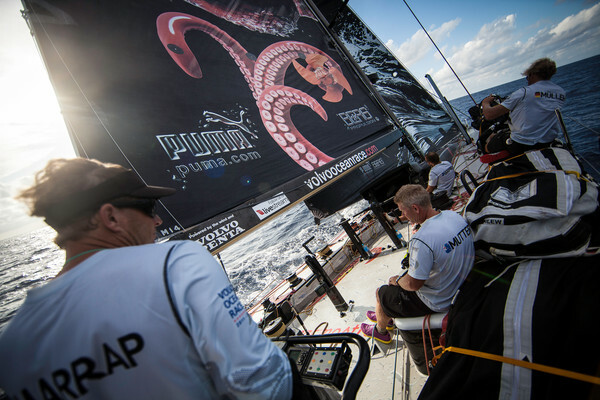 Earlier, Groupama and PUMA set off down wind at high speeds while the chasing pack of four struggled with upwind conditions. 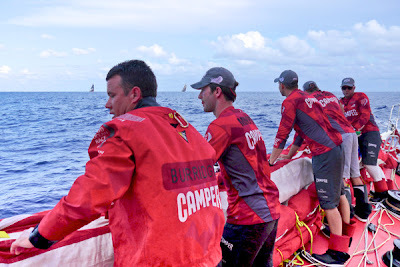 By 1900 GMT tonight, CAMPER with Emirates Team New Zealand had risen to second position as PUMA Ocean Racing powered by BERG paid heavily for an expensive hitch to the north, losing 24 nm in the past three hour period. 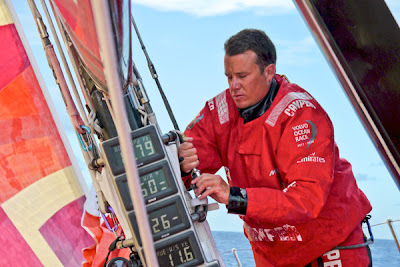 Although speeds have settled at around 18 knots for the leaders, the chasing pack of five in the Volvo Ocean Race fleet have yet to engage in a really high-speed chase. Abu Dhabi Ocean Racing’s skipper Ian Walker/GBR is looking for a break, although spirits on board are high after winning the PortMiami in-port race on Saturday. At 1900 GMT, Groupama led by 47.3 nm over CAMPER with Emirates Team New Zealand, while the rest of the fleet struggled to keep pace. 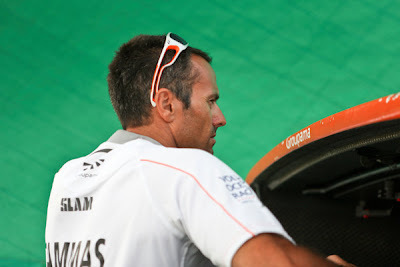 Mike Sanderson’s Sanya suffered heavily, losing 35 nm and after just over 24 hours at sea, the fleet is now split by 87.20 nm from Groupama in first, to Sanya in sixth.